We’ve reached the halfway point of 2018 and already we’ve seen a number of exciting things happen in the world of horology. 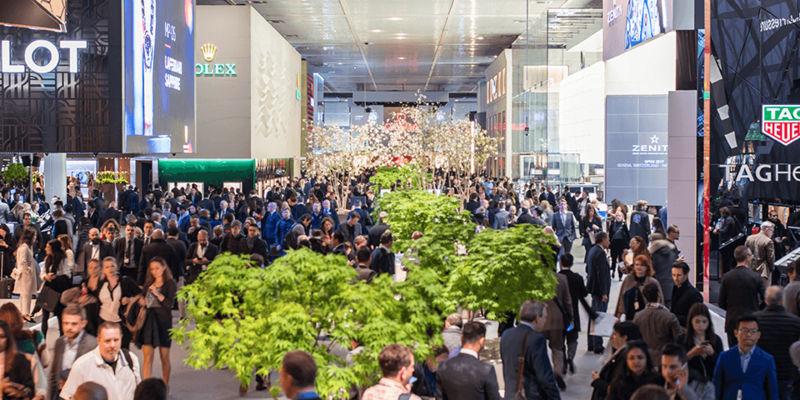 With SIHH 2018 and Baselworld 2018 now firmly in our rear view mirror, watch collectors and aficionados are now looking forward to what the remainder of the year will bring. 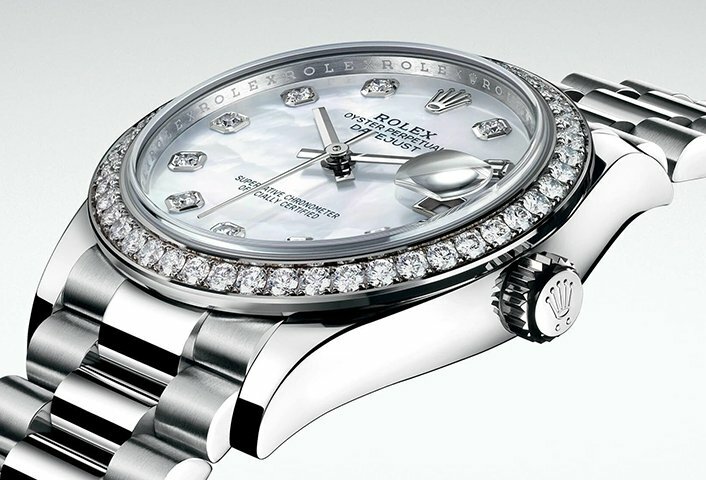 One brand that has maintained a consistent approach to watchmaking is Rolex. 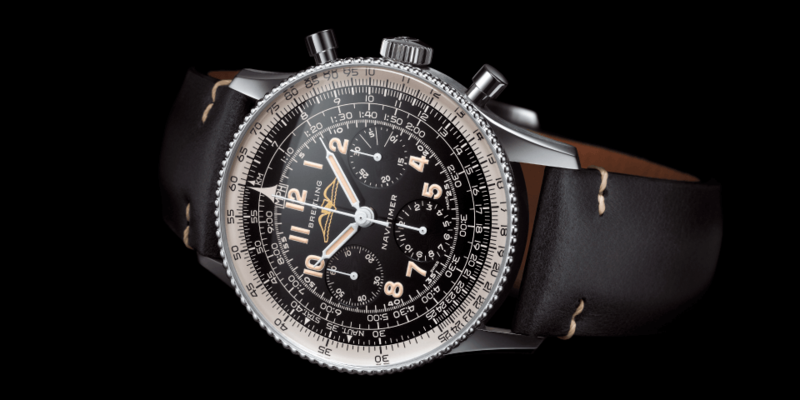 Then again, you’d expect nothing less from one of the biggest and most recognisable watch brands in the world. 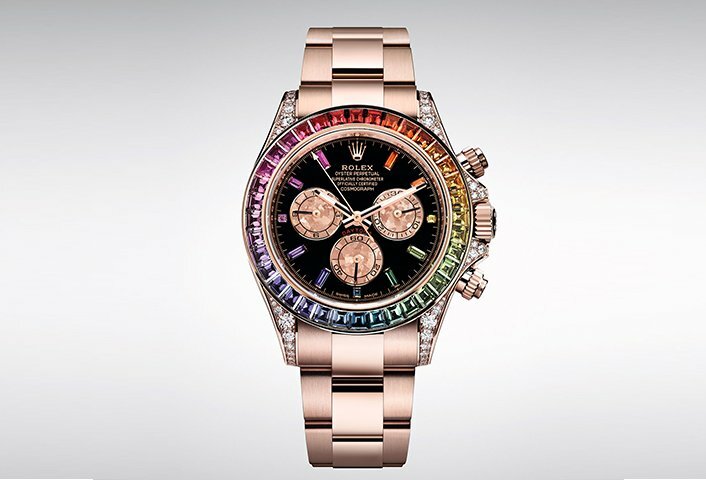 As seen in the world’s biggest watch fair, Rolex has already unveiled several top quality pieces for 2018. Taking on a fresh approach in styles, finish and design, Rolex has certainly out done itself so far this year especially with these standout timekeepers in stores. 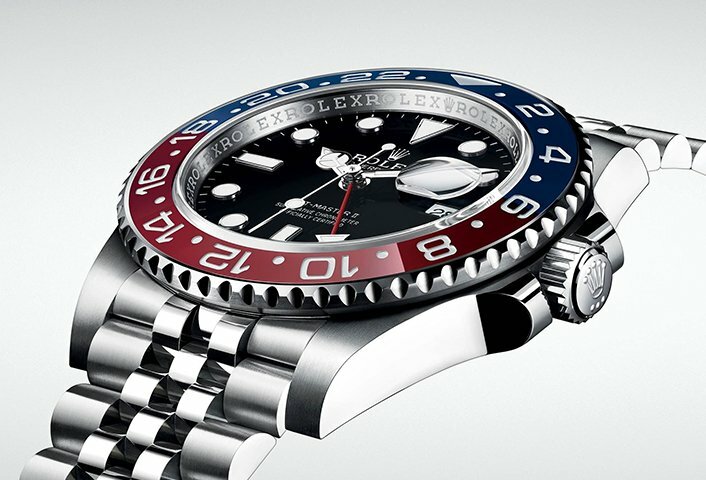 With its striking red and blue Cerachrome bezel, it’s easy to see why this is Rolex’s most anticipated release of the year. 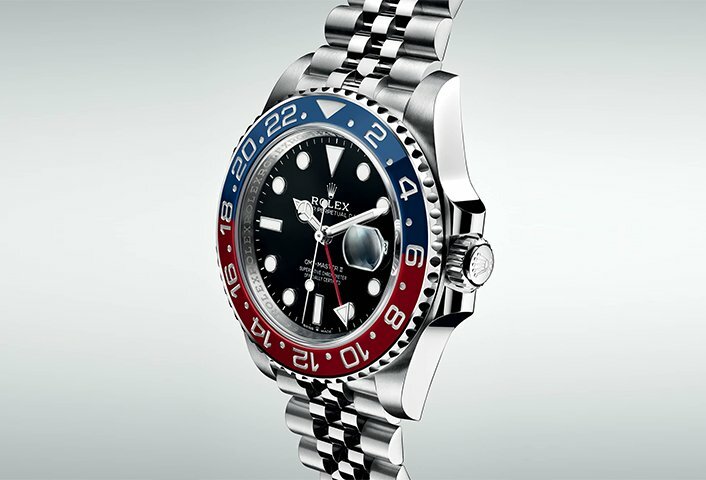 The GMT-Master II has been around since 1982 and despite the fact that it has taken the Swiss watchmaker this long to deliver this steel version with the red and blue bezel, most fans felt that it was worth the wait. 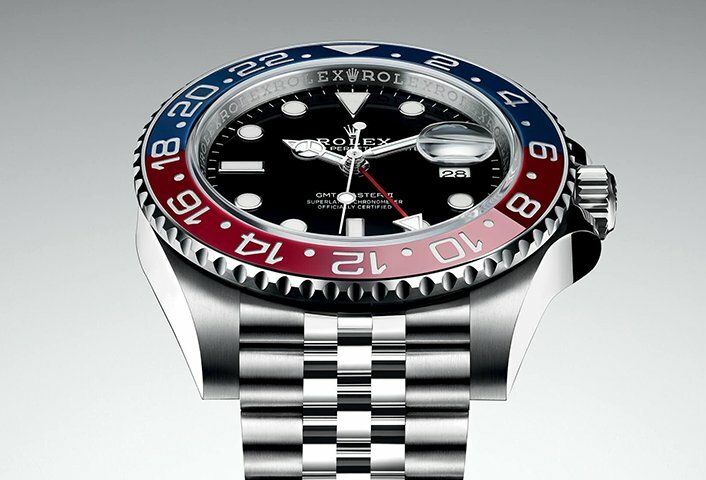 Equipped with the new calibre 3285, a new-generation movement entirely developed and manufactured by Rolex, the GMT-Master II in 40mm is waterproof up to 100 meters and features a redesigned Oystersteel Jubilee bracelet. For those who prefer something more opulent, the GMT-Master II also comes in 18 ct Everose gold and Everose Rolesor versions as well. 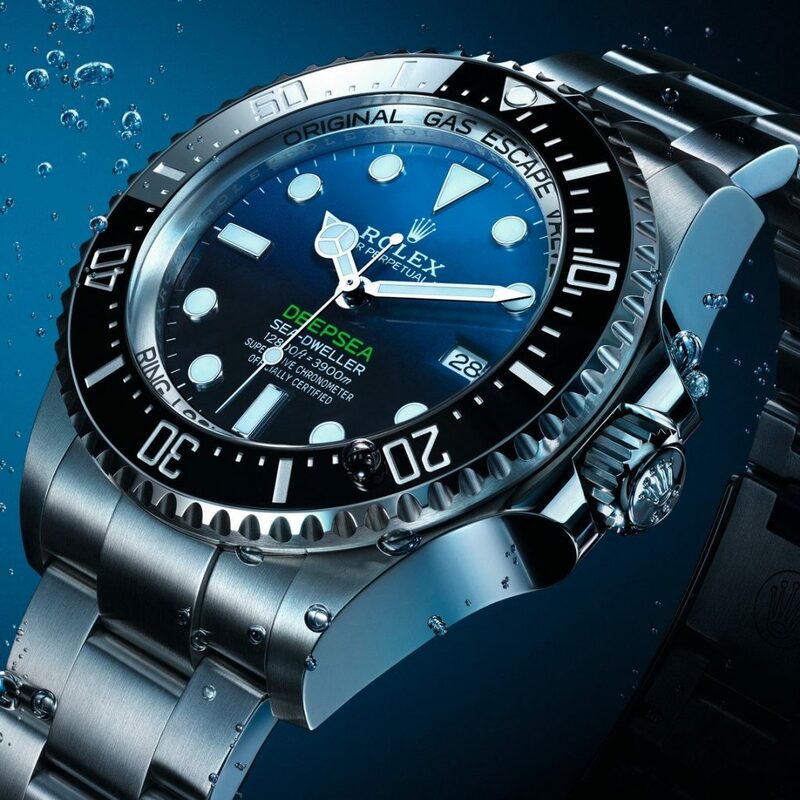 A true professional diver’s watch, the new Rolex Deepsea is equipped with a new-generation movement, calibre 3235 and sports a redesigned 44 mm case as well as a D-blue dial with a deep-blue to pitch black gradient. 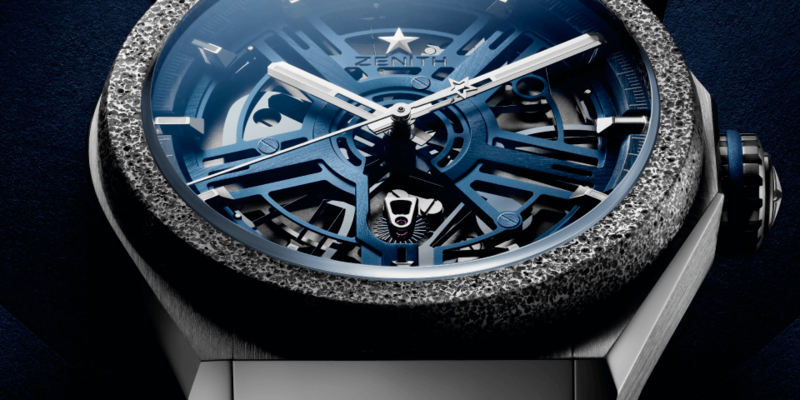 This dial was launched in 2014 on a commemorative version of the watch in tribute to the DEEPSEA CHALLENGE expedition. 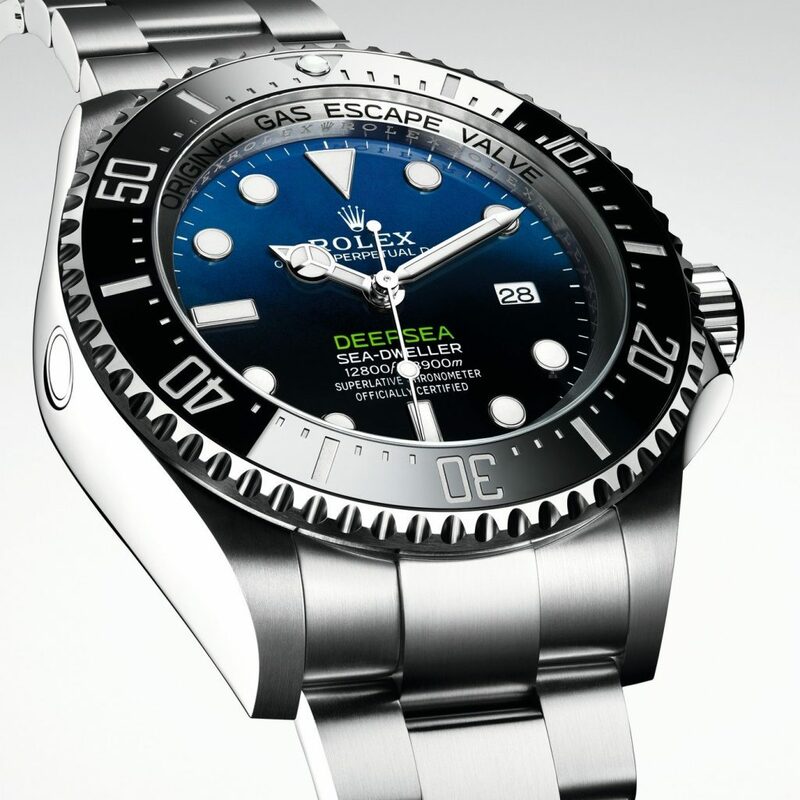 On this journey, partnered by Rolex and the National Geographic Society, film-maker and explorer James Cameron descended 10,908 metres (35,787 feet) to the ocean’s deepest point, located in the Mariana Trench. 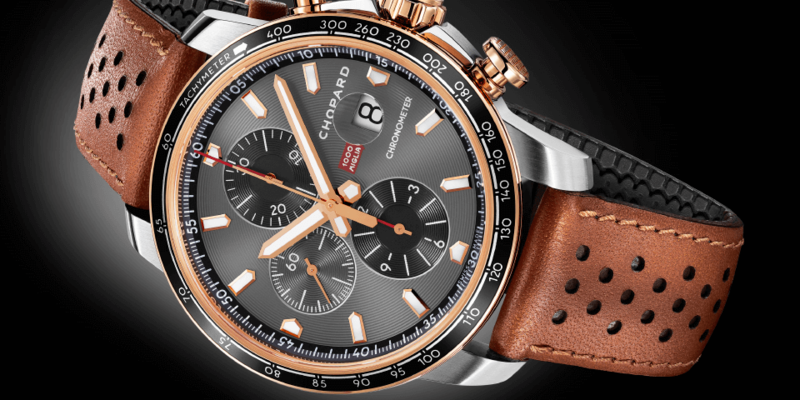 It also features redesigned lugs and sides and a broader Oyster bracelet, as well as a correspondingly adapted Oysterlock folding safety clasp. 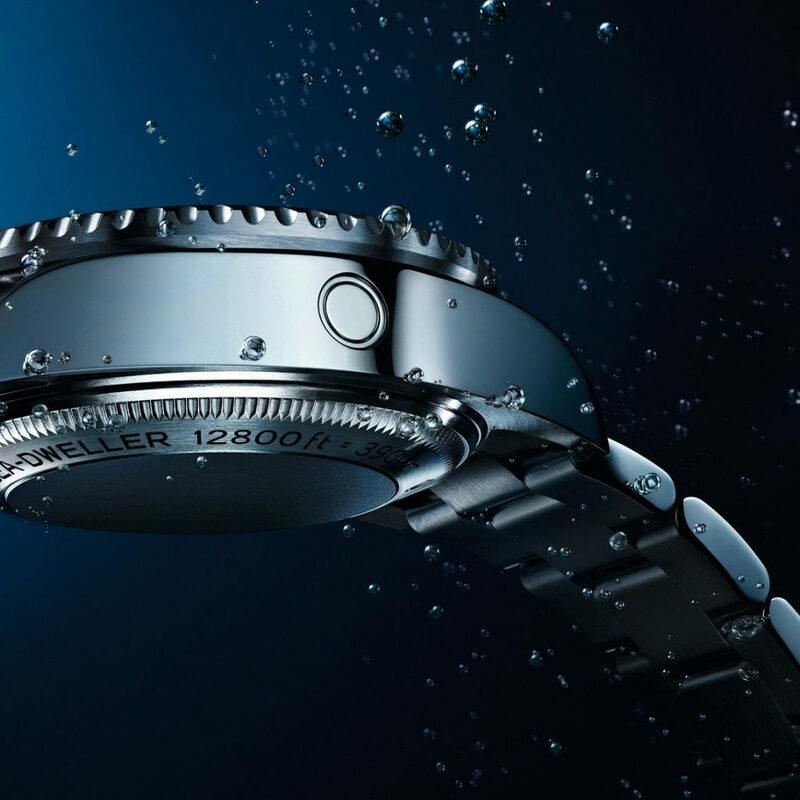 To ensure it’s up to the task of conquering the depths of the deep blue, the Rolex Deepsea is water resistant up to 3900 metres, comes with a power reserve of 70 hours and is equipped with a helium escape valve as well. Fully functional for deep dives and undoubtedly stylish, the Rolex Deepsea is one of the few watches that will look great both on land and sea. This year sees two new additions to the Datejust family. 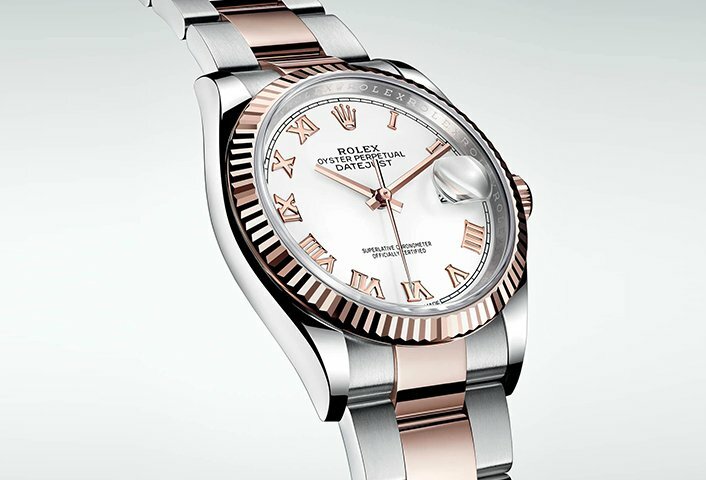 The Datejust 36 is equipped with a 36 mm case featuring redesigned lugs and sides, and calibre 3235. 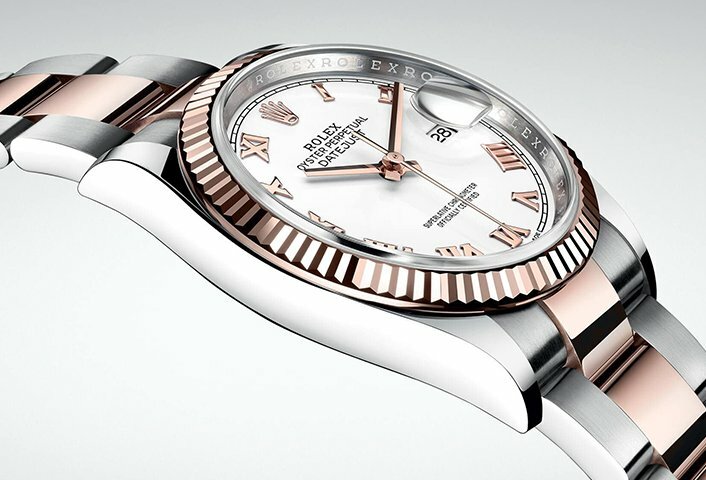 The new Datejust 36 watches are available on an Oyster or a Jubilee bracelet, which benefit from a concealed attachment system, ensuring seamless visual continuity between the bracelet and case. 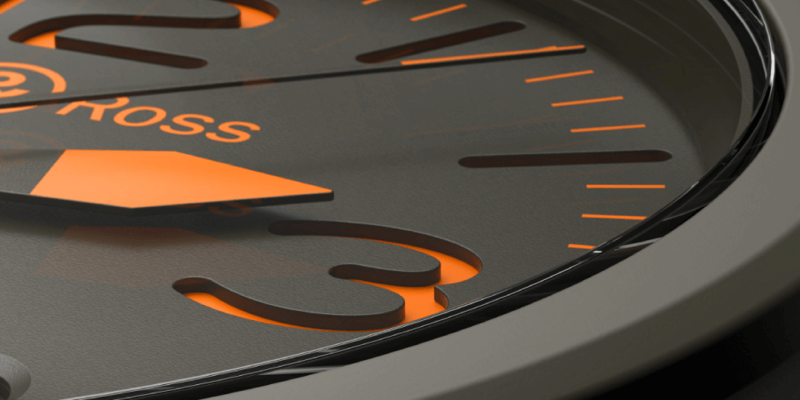 It is also available in many different combinations with a large selection of dials. Despite its modern interpretation, the Datejust 36 still retains its classic elegance, making it one of the most recognizable watches. 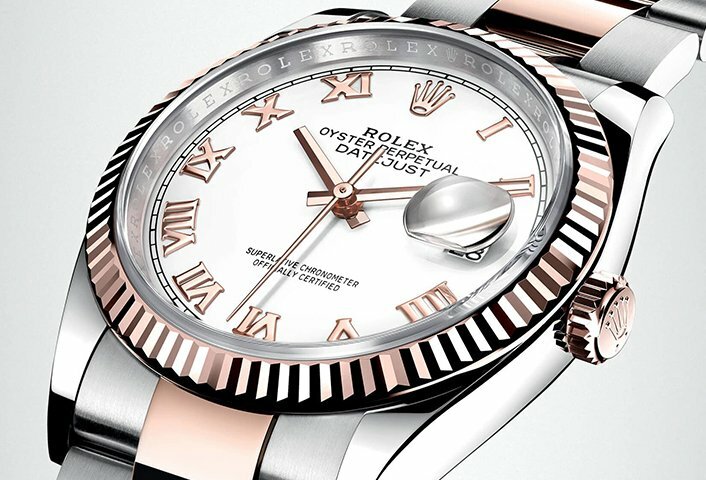 The Datejust 31 on the other hand is powered by a new-generation calibre 2236 and boasts a newly-designed 31mm case in 18 ct white, yellow or Everose gold along with a brand new selection of dials. 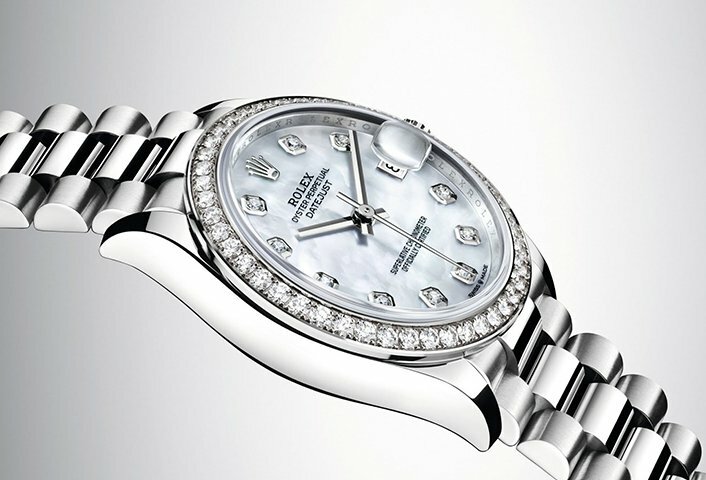 Amongst the many combinations available, one, in 18 ct white gold, is fitted with a white mother-of-pearl dial and a diamond-set bezel. Another, in 18 ct yellow gold, features a malachite dial with a Roman VI and IX in 18 ct yellow gold set with diamonds, and a version in 18 ct Everose gold is introduced with a diamond-paved dial inlaid with pink mother-of-pearl butterflies. The Oyster Perpetual Cosmograph Daytona was first introduced in 1963 and it has become one of Rolex’s most iconic models. For 2018, Rolex has up the ante by releasing this head-turning version, which is equipped with calibre 4130, a self-winding mechanical chronograph movement entirely developed and manufactured by Rolex. 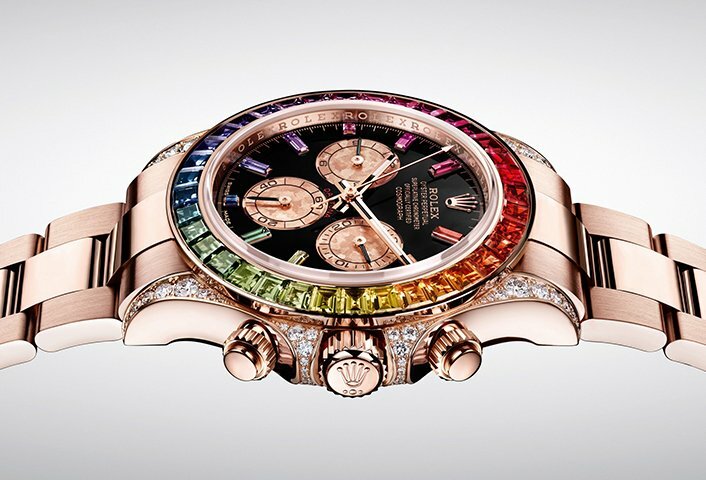 On this new 18 ct Everose gold version, the bezel is set with a gradation of 36 sapphires in rainbow hues. 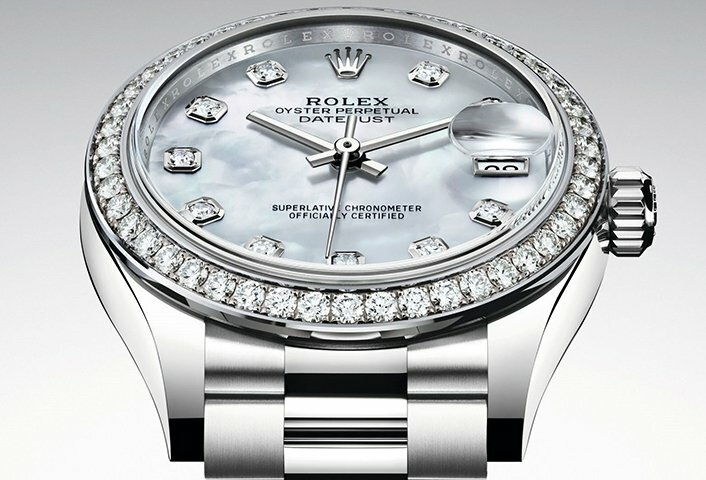 The case comes adorned with 56 brilliant-cut diamonds set into the lugs and crown guard, and the dial features 11 baguette-cut sapphire hour markers, each of which matches the colour of the corresponding point on the bezel. Pink Gold Crystals are then used for the chronograph counters adding a stunning dimension to the watch.